Sunesta’s awnings are enjoyed by homeowners in Sonoma, California, and all the surrounding areas. 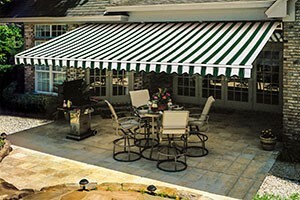 One of the primary benefits of choosing Sunesta for an awning is that we are a custom manufacturer. This means whether you would like to shade a window, door, patio, pergola, or another area around your home, we can make you an awning that fits perfectly. When you choose Sunesta for an awning, you also get the benefit of working with a company that is 100 percent committed to customer satisfaction. We back the quality of our products with exceptional warranties, and, thanks to our SmartCode‚Ñ¢ system, we can provide personalized assistance should it ever be needed. To learn more about the custom awnings we make for homeowners in Sonoma, CA, and the neighboring communities, call 1-800-SUNESTA today.